Longtime assistant David Hunt has been promoted to head coach of the Pepperdine men’s volleyball program. Hunt will be the eighth head coach in the program’s history. Hunt has served with the Waves’ coaching staff for the past 10 seasons. Since December 2007, Hunt has assisted the program in a multitude of facets, including as video coordinator and volunteer assistant. He was elevated to the role of assistant coach in 2010 and promoted to associate head coach in 2014. While Hunt has been at Pepperdine, the Waves have produced a 160-104 overall record for a .606 winning percentage. In his first season with the squad, the team finished ranked number 2 nationally after an appearance in the NCAA Championship match against Penn State. In the past 10 seasons, Pepperdine has finished in the AVCA final rankings top 10 on nine occasions and in the top five six times. Throughout his time with the Waves, Hunt has been honored with the American Volleyball Coaches Association Thirty Under 30 Award on three occasions: 2010, 2016, and 2017. Hunt has also worked with Team USA’s Women’s National Team under legendary coach Karch Kiraly since 2014. In 2016 he served as the team’s consultant coach in the bronze medal finish at the Olympic Games in Rio de Janeiro, Brazil. In 2014 as a consultant coach, he helped the team to a gold medal run at the FIVB World Championships in Italy, the team’s first-ever gold medal at any major tournament. Also in 2014 Hunt was chosen as head coach for the US Women’s National Team at the NORCECA World Championship Qualification Tournament. He was again given the reins to the national team in 2015 when selected to coach Team USA at the Pan American Cup in Lima, Peru. "We loved having David so involved coaching the USA women the last few years,” said Kiraly. “He did stellar work for us right through the Rio Olympics. We're thrilled for the Pepperdine men's program and for David." For a brief period from 2013 to 2014, Hunt worked as an assistant coach for the Japanese Men’s National Team. He helped lead the squad to their first FIVB World League win in over two years. Prior to helping with the US women’s team, Hunt traveled to Tijuana, Mexico, in 2012 as an assistant coach for the US Boys’ Youth National Team where the squad won the bronze medal at the NORCECA Boys’ Youth Continental Championship and qualified for the 2013 FIVB Youth World Championships. 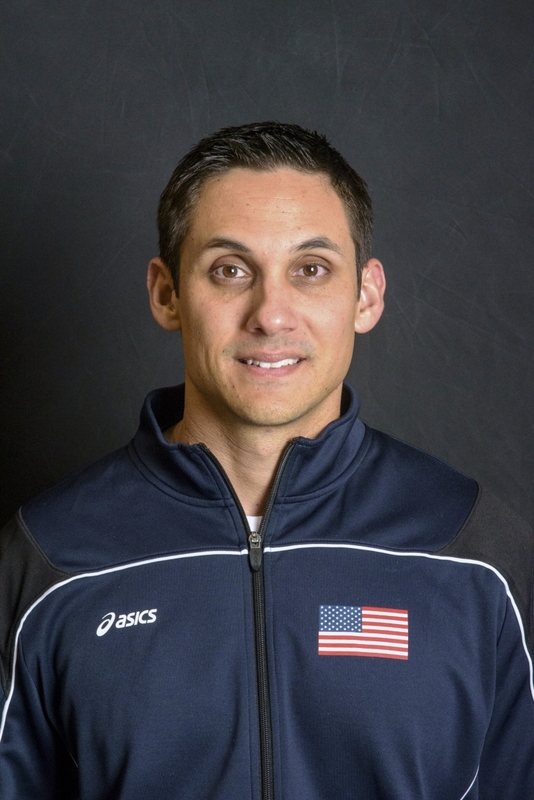 He worked as an assistant coach for the US Men’s Junior National Team in 2011, leading the team to its highest-ever finish with a fourth-place showing at the FIVB World Championships in Brazil. He also was selected to travel with the US Men’s National Team as the technical coordinator to the Pan American Cup in Cuiabá, Brazil. Before Pepperdine, Hunt worked at Harvard-Westlake High School in Los Angeles as an assistant to former Pepperdine assistant coach Adam Black, whose team was en route to a state championship in 2007. He has also coached at the Marv Dunphy Volleyball Camp and has participated in Gold Medal Squared coaching clinics across the United States since 2007. Hunt graduated from UCLA in 2008 with a bachelor’s degree in history. A native of Glendale, California, he earned his master’s degree in coaching and athletic administration from Concordia-Irvine in 2011.